Recently I’ve been ginning up a reading list about the title given in this blog post, and I wondered if I could try to crowdsource some of this bad boy. If you had a semester and you wanted a graduate-level someone to learn all of the basics and some of the more advanced and interesting stuff about the broad topic “the Internet and innovation,” what would you tell them to read? My interest here is public policy and not so much on other areas (economics, law — though they’re in here). I focus a lot on architecture. I left out most of the network neutrality debate because it is so often NOT presented in innovation terms. It is hard to assign something that focuses only on the innovation component, although certainly it is an important issue. If you have something, let me know! What did I leave out? I’d welcome your thoughts. Rosenberg, N. (1983). Inside the Black Box: Technology and Economics. Cambridge: Cambridge University Press. Rosenberg, N. (1994). Exploring the Black Box: Technology, Economics, and History. Cambridge: Cambridge University Press. Rogers, E. (2003). The Diffusion of Innovations. (5th ed.) Glencoe, IL: Free Press. Tuomi, I. (2003). Networks of Innovation. New York: Oxford University Press. van Schewick, Barbara. (2010). Internet Architecture and Innovation. Cambridge: MIT Press. This entry was posted on Monday, August 30th, 2010 at 9:37 am	and is filed under Research. ask me in another year or so, once i finish my current project on this topic. 4gb of data dealing with user-driven innovation on the internet and distributed knowledge production in hacklabs/hackerspaces. It’s in the area of law, but in terms of sheer brilliance around the concepts of the internet, mapping and the thought processes behind innovation I think that David Post’s “In Search of Jefferson’s Moose” is a must read. A work of genius and a classic, it also gives a peek into Thomas Jefferson’s mind – surely one of the greatest of American innovators – as the concept of “The United States of America” was being created, a territory as wild and strange then, as the internet is now. Even if it doesn’t make the list, a definite must read. I’m currently reading Janet Abbate’s Inventing the Internet  which does a good job at recounting the interactions between the various actors and groups, as well as technical innovations and architectural decisions that have led to the Internet as we know it today. Abbate, J. (1999). Inventing the Internet. Cambridge, MA: The MIT Press. http://mitpress.mit.edu/catalog/item/default.asp?ttype=2&tid=4316. Gillett, S. E., W. H. Lehr, J. T. Wroclawski, and D. D. Clark (2001a). “Do Appliances Threaten Internet Innovation?” In: IEEE Communications Magazine 39.10, pp. 46–51. issn: 0163-6804. doi: 10.1109/35.956112. Gillett, S. E., W. H. Lehr, J. T. Wroclawski, and D. D. Clark (2001b). “The Disruptive User — Internet Appliances and the Management of Complexity”. In: BT Technology Journal 19.4, pp. 40–45. issn: 1358-3948. doi: 10.1023/A:1013774312186. Pouzin, L. (1973a). Interconnection of Packet Switching Networks. INWG Note 42. IFIP WG 6.1 (INWG). 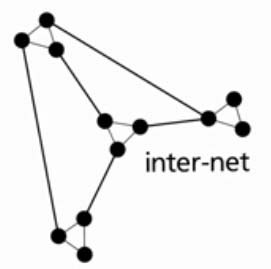 url: http://baerwolff.de/public/Pouzin-1973-Interconnection-of-Packet-Switching-Networks–INWG-Note-42.pdf. Pouzin (1976a). “The Network Business — Monopolies and Entrepreneurs”. In: ICCC ’76: Proceedings of the Third International Conference on Computer Communication. Toronto, Canada. August 3–6, 1976. Ed. by P. K. Verma, pp. 563–567. Also published as INWG Legal/Political Note 6. Reed, D. P., J. H. Saltzer, and D. D. Clark (1998). “Commentary on “Active networking and end-to-end arguments””. In: IEEE Network 12.3, pp. 69–71. doi: 10.1109/65.690972. Part of a collection of three “Commentaries” edited by Thomas M. Chen and Alden W. Jackson. Saltzer J. H. (1999). “Open Access” is Just the Tip of the Iceberg. Online. url: http://web.mit.edu/Saltzer/www/publications/openaccess.html. Walden, D. C. and R. D. Rettberg (1975). “Gateway Design for Computer Network Interconnection”. In: Eurocomp 1975: Proceedings of the European Computing Conference on Communications Networks. London, UK. September 23–25, 1975. Ed. by D. L. A. Barber. Online Conferences, pp. 113–128. isbn: 0903796058. url: http://www.walden-family.com/public/gateway-paper.pdf. Gaynor, M. S. and S. O. Bradner (2001). (2004). “A Real Options Metric to Value Network, Protocol, and Service Architecture”. In: ACM SIGCOMM Computer Communication Review 34.5, pp. 31–38. url: http://people.bu.edu/mgaynor/papers/ccr-small-final.pdf (edited version with slightly different title). What a great set of comments! I am so happy that I posted this query on the blog. Thanks to everyone for being so generous with your time in responding. Steve: Doh! I can’t believe I didn’t put Abbate. Thank you. Matthias: You are fantastic. These are great. Some of these were totally unknown to me. Thank you.